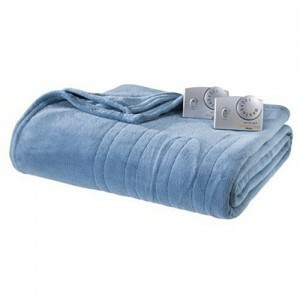 An electric blanket is a blanket with integrated electrical heating wires which kindly heats the body. 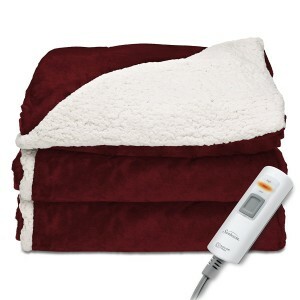 The electric blanket may be used to pre-heat your bed before sleeping or to keep the occupant warm while in bed. 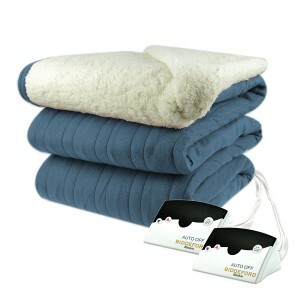 Some modern "low voltage" electric blankets have thin carbon fiber wires and work on 12 to 24 volts.